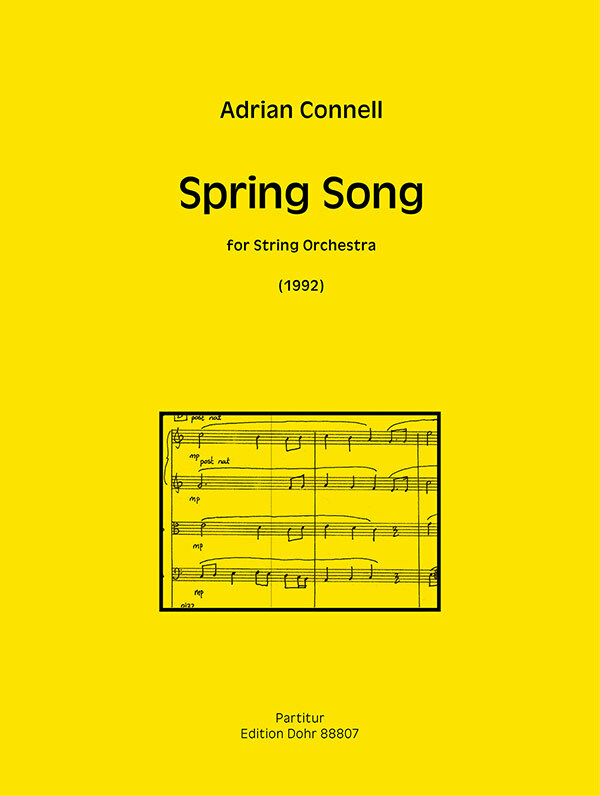 Spring Song is a celebration of the arrival of spring, a renewal of life from the death of the old year. The basic structure of this piece is classical Sonata form. The opening represents winter and this section contains the motives that are the seeds for spring. The music does not really take flight until the development section where march-like textures punctuated by string fanfares propel the music forward. The recapitulation is transformed as the themes reappear in a different order and use the march-like elements from the development. 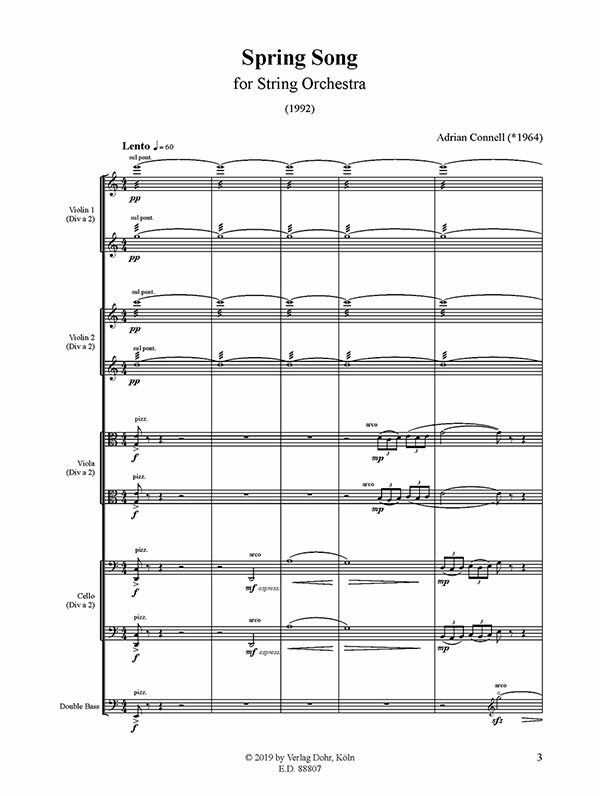 The coda acts as a tranquil recall of the opening music as four solo strings take on the guise of birds singing in contentment in the summer sun. This work was written with the string strength of 8.6.4.4.2 in mind. Where there is a three part division in any one part where a solo is concerned, the rest of the section should split so that the greater number of players should play the bottom line.